For a bunch of reasons (which we explored here previously – check it out), the construction industry in Ireland does not have enough women in their workforce. Even after a huge push to get ladies to study STEM, and active recruiting strategies, the numbers just aren’t there. According to the Women in Trades Network Ireland, less than 5% of construction workers on-site are female, while the number of women in trades apprenticeships doesn’t even hit 1%. Meanwhile, the Central Statistics Office estimates that only 5.5% of the workforce across all construction-related sectors are female. 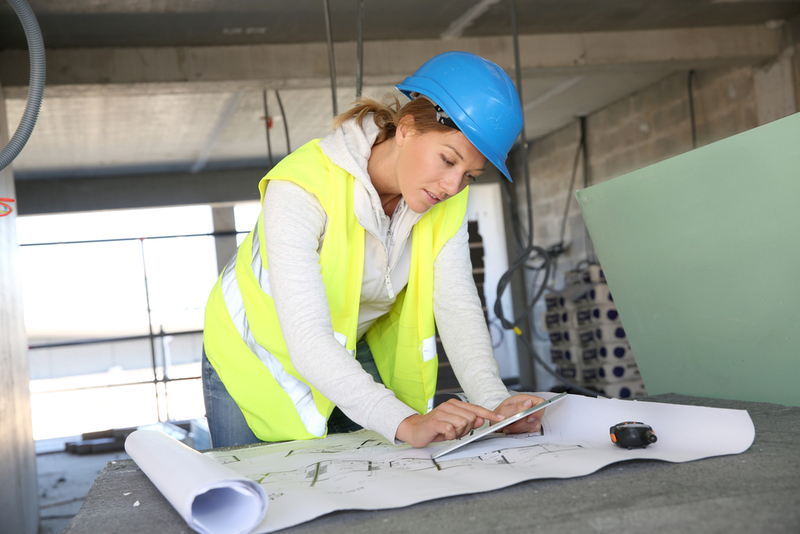 For all those smart, ambitious women looking to embark on a new career, here are our top 5 reasons for you to consider construction. There are few industries right now where freelancers across most levels and fields can pick and choose what gigs they take. Talk to any self-employed journalist, film editor, cinematographer, graphic designer, corporate coach or personal trainer, and they will tell you the same thing. Many have started their careers working for free – for years in some cases – and they’ve all taken jobs they’d rather not for financial reasons. Construction is a thriving industry, and once you reach a specific skill level, and maintain a good professional reputation, you decide where you work. With each project brings another set of lessons. You’ll pick up technical skills, people management techniques, efficiency training, budgeting experience, project management tips, as well as conflict resolution and problem-solving tactics; you’ll learn best health and safety practices and gain a greater understanding of mechanics – and that’s just your first week on the job. The toolkit of knowledge and skills you’ll develop is transferable and you will always be challenged. In an evolving industry like this, there are a wealth of opportunities. It’s up to you to make the most of them. It’s the spice of life! Forget the boring 9-5 desk job. Every project, every site, every role you take on will be completely different. As you develop your professional skill set, you’ll experience new team dynamics; find friends for life, and learn from experienced mentors. You will have the chance to travel, to grow, to change professional direction as you see fit. Are you dreading another rainy winter? No worries. There’s a project in Dubai waiting for your CV. Always wanted to see Niagra Falls? Apply to Canadian-based Rutherford Contracting. More of a surfer? Winslow in Victoria, Australia are recruiting now. Your future options are endless, and no day you’re working will ever be the same. In construction, the world is your proverbial oyster. We are an industry in growth, and the prospects out there reflect this. You can start an entry-level job on a livable wage and upskill while you work. You can decide what’s right for you as you go, and specialise accordingly. Each project brings with it another chance to network, to learn, and to refigure your future. Presently there is a hefty skills deficit across a host of areas; these roles are crying out to be filled with ambitious, talented women who can really make their mark. In this sector, you can reach for the stars – and if you’re standing on scaffolding aren’t you that bit closer? Forget sales targets or progress reports – in this industry, the fruits of your labour are all around us. You get to be part of a team that takes a piece of flat land and creates a structure which will last a hell of a lot longer than you. You’ll be involved with building homes and businesses where people live and thrive. Your team will take an old, wrecked space and restore it to something functional and beautiful. Talk about rewarding… you are creating the infrastructure for future generations. Who wouldn’t want to be part of that? Ladies, don’t forget about us when sending out those CVs. This industry is evolving, and the strong, accomplished women who currently make up that small percentage would love to have you join their ranks. Recent graduates, women changing professions or anyone returning to work, if you are considering a career in construction, make sure to join us on the 29th in Croke Park.